The art of fine dining requires the careful selection and display of eye-catching dinner candles. The simple elegance of Root Dinner Candles distinguishes any table setting, illuminates the occasion, and sets a delightful mood. 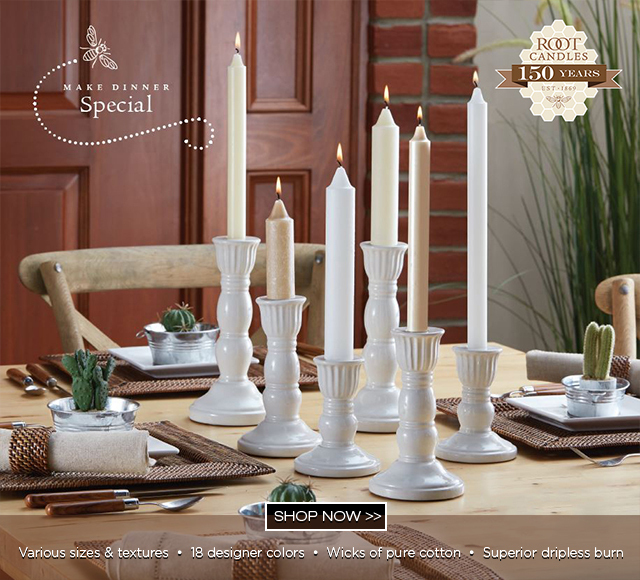 Whether it’s a romantic dinner for two or a large formal dinner party, Root Dinner Candles will grace your table setting with unique character.